Sweet dreams are made of these! 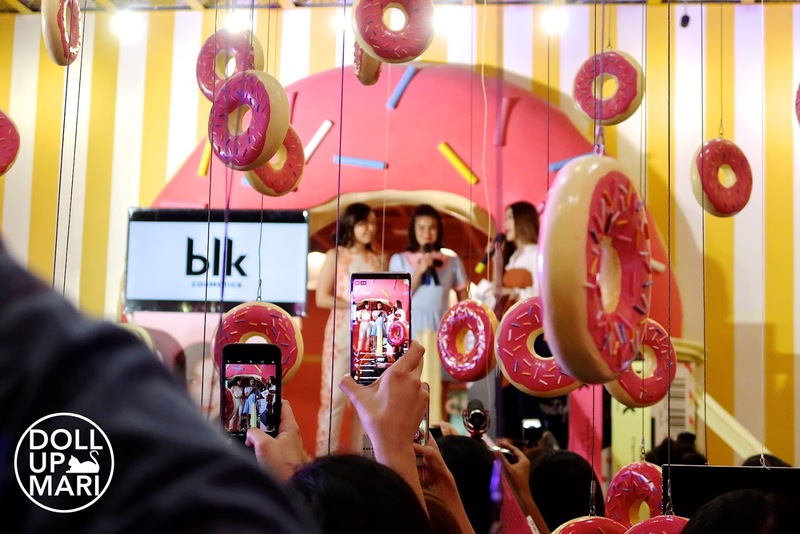 Only Anne Curtis does an event at the Dessert Museum, because only she can pull it off (in all aspects). Thus far, this has to be one of the most memorable and interesting events I have ever attended in the past five years. It's not always that a brand can find a venue that personifies the brand story or product launch story, so BLK and Dessert Museum are lucky to have each other! I am so sorry that this was one of the posts stuck in the pipelines!!! I was highly impressed by the products of this launch and was disappointed at myself for taking this long to get a blog post up. I only got out of my job not too long ago, so it'll take me some time to get rid of all the backlogs I have. Baby steps, baby steps!!! The collection is a dream!!! I'm livin' for everything! From the product conceptualization, the shades, and the whole feel of the collection, I was so excited. I love how Anne has made the KBeauty trend into something simplified, and in shades apt for Pinay skintones. 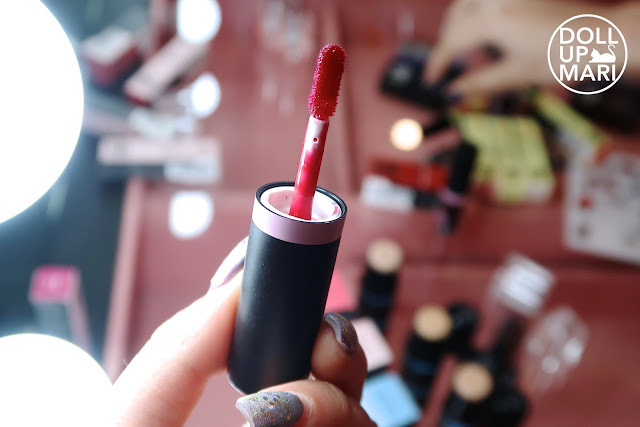 The brand DNA of uncomplicated beauty is personified in the whole release, with cream eyeshadow, cream blush, new autumn shade lipsticks, a CC stick, and of course, lip tints. Nothing crazy with the packaging and applicators, and no shade that's too weird. Just pure practicality. Of course, everyone was super stoked to see Anne! She shared how much she wanted to do this collection given her addiction to everything Korean these days. 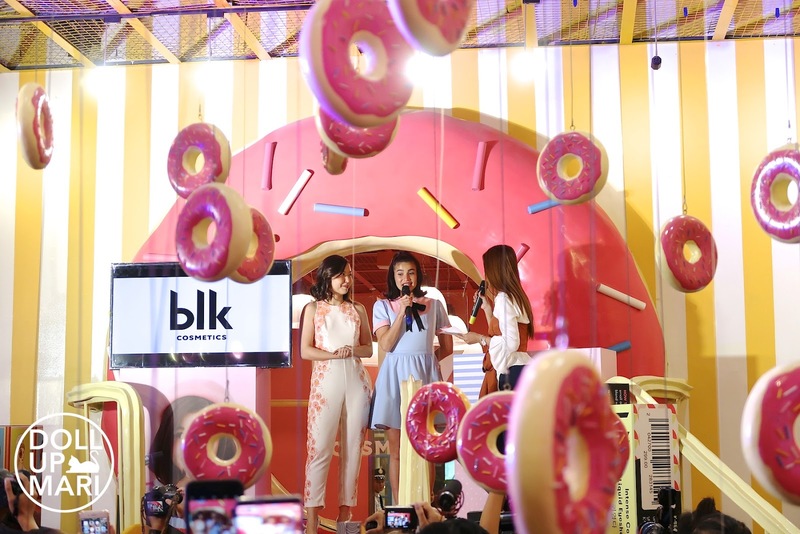 Even though it was a little scary to move around in this room (the doughnuts are quite heavy and they hurt when they hit your head), everyone was busy walking around and filming. Aside from sharing the new videos, Anne shared her experiences in creating this collection. One anecdote is how she feared for her life in filming the video because she used three dots of her cheek paint-- which is too much as it's so pigmented that one dot is enough. 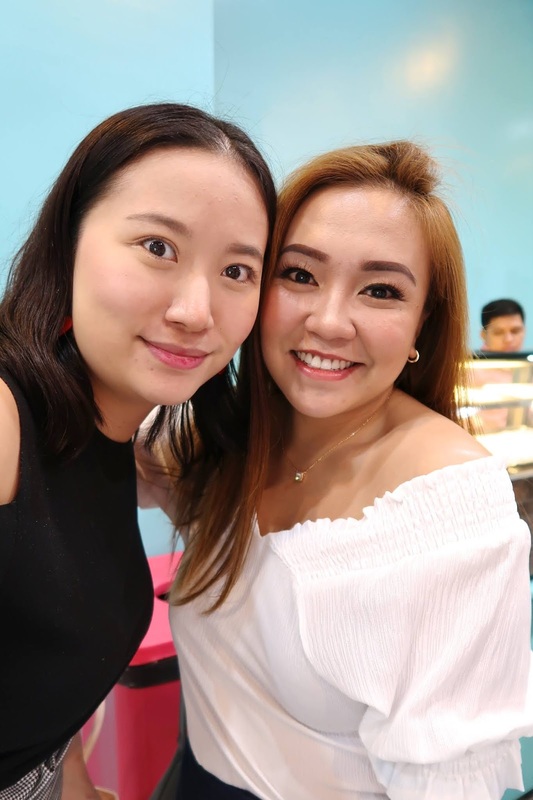 She also shared about how she wanted to do 10000 other things and 10000 shades, but her business partner, Jacqe Gutierrez, reminded her to stay true to her brand DNA of uncomplicated beauty. Of course, more choices is good, but it also means more confusion. Part of why BLK is so appealing is because there are only a few key shades, and a few key product lines, making it easy to decide and narrow down choices. Making too many products and too many shades only makes the confused even more confused. 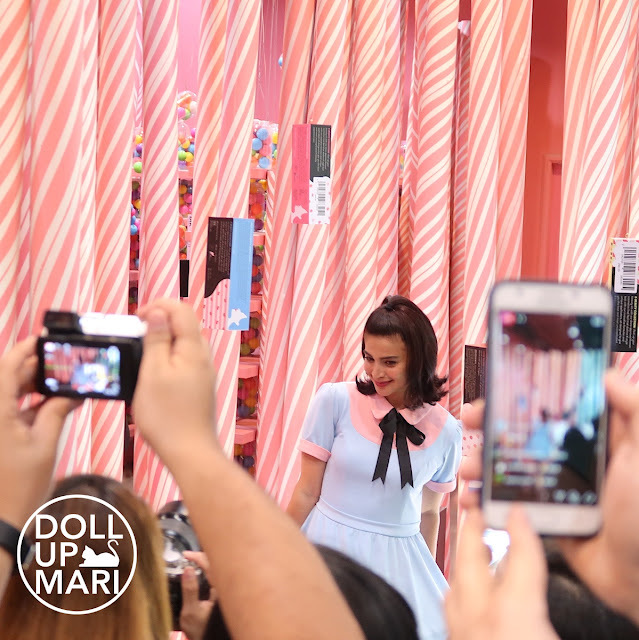 After her stage talk, Anne of course wasted no time and went around the museum for photos and videos to be taken. Gosh, she looks like a doll!! And now let's talk about the products! 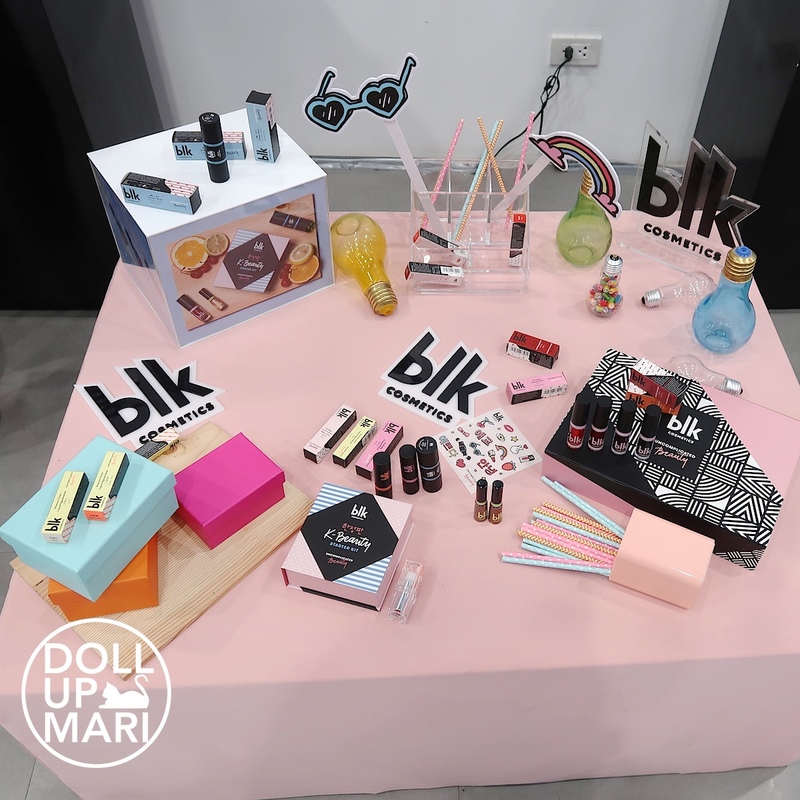 They have lip tints (Php249)! 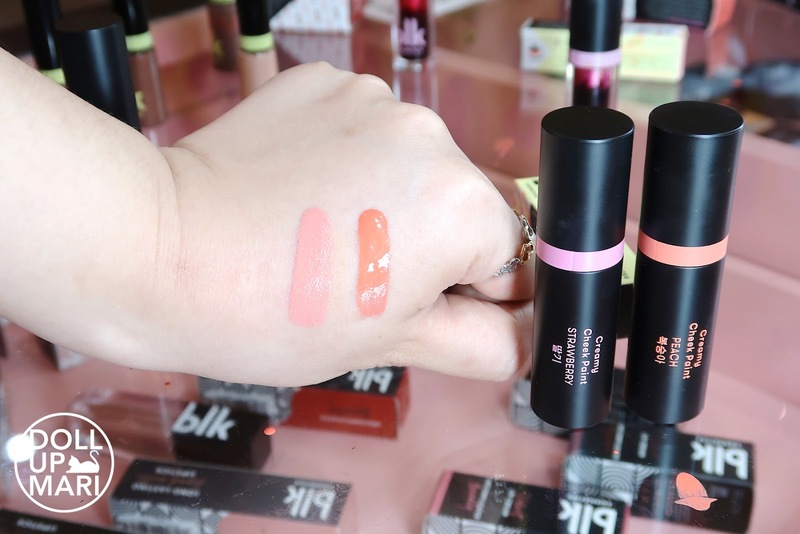 BLK's lip tints have a flat doe foot applicator, for easy application. Personally, I like doe foot ones more than roller ones, because you have more hygiene control in the sense that you can wipe this after usage, before putting it back into the tube. Unlike roller balls, which will inevitably roll impurities into the tube. 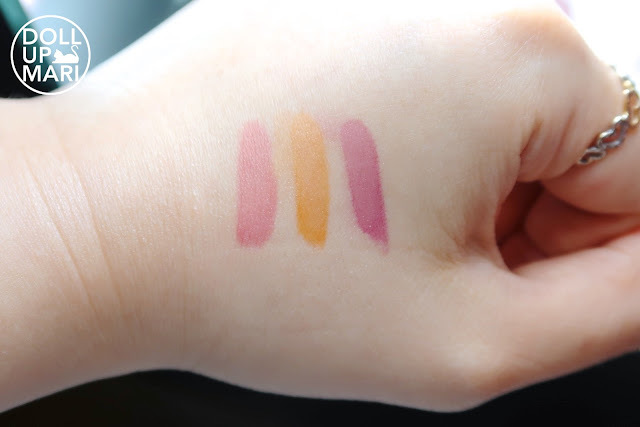 There are 4 shades, and the 3 shades here on this swatch are Cherry, Orange, and Pink. 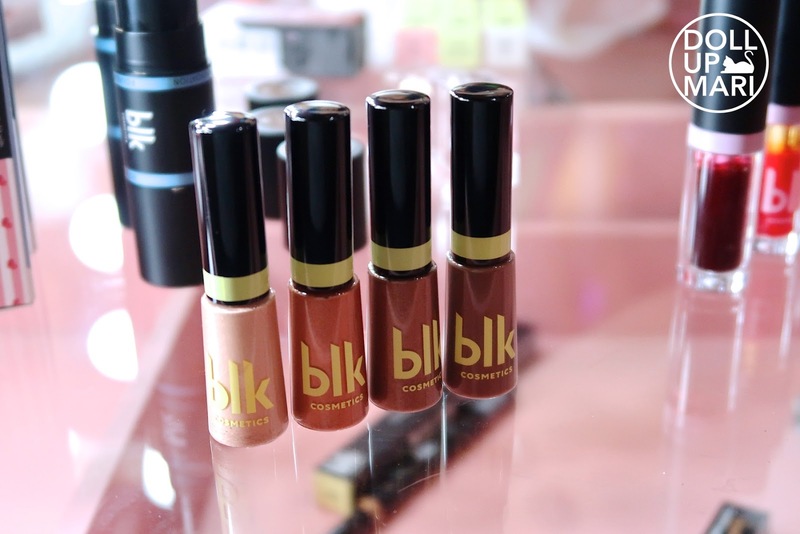 The orange tint was a risk that Anne took, as orange shades haven't been explored much for tints here in the Philippines, but it paid off because it's been sold out so many times, and received critical acclaim from users! I am livinnnnn ferrrrr the cheek paints (Php349)!!!! Their cheek paints go over powder, don't drag powder makeup, and magically just revive your look from the dead. You magically look so vibrant with just a little of this on. Putting a creamy formula in liquid formula form paid off, as the end result is a creamy and dreamy pop of color to the cheeks, with a dewy finish. Their liquid eyeshadow (Php299) is also another item that patched a hole in the local industry. Thus far, most liquid eyeshadow releases by most Korean brands here have been very glittery. For glitter addicts like me, of course, that's a good thing. But I understand that not everyone wants glitters. And I myself do not wear glitter eyeshadows everyday. 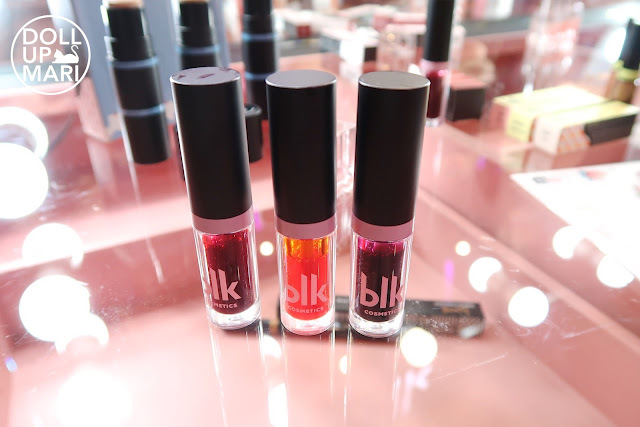 I'm pleased that BLK's take is to have 3 shimmery ones, and 1 matte one. And here are the shades!!! 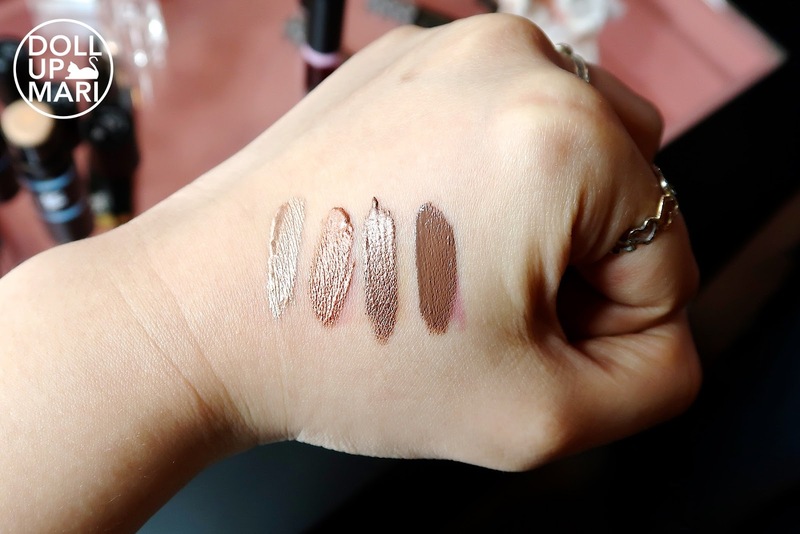 From left to right: Cute (champagne), I Love You (copper), Hello (taupe-bronze), and Gorgeous. Something to note is that these eyeshadows need to be blended and left to set for a bit. Some people apply too much, do not blend it out, and then leave it wet. The end result is creased eyeshadow that wears off easily. The right way to use this is to apply with a thin layer and to buff it properly. Only add more when the need arises. And wee selfie time!!! This is a post where I have especially a lot of selfies as this was one event where almost all my friends were gathered in one place. At the same time, there were also celebs present. Gosh Chienna is so pretty!!! A selfie with mommy Anne. And a very rare selfie with Jeya! I feel like I've known Jeya for so long because of mommy Anne's vlogs, even if this is my first time to meet her. With Almira and Raiza, who almost are like mirror images of my personality! We can talk without getting tired for hours hahaha. With Mommy Kris and Daddy Justin, who just had Liam for like 3 weeks at the time! And Jasmine Curtis!!! She's really so pretty!!! And Kim, Genzel, and Carizza. I owe you guys so many more event posts, so stay tuned!